Is there a better alternative to TimeKeeper? Is TimeKeeper really the best app in Applications category? 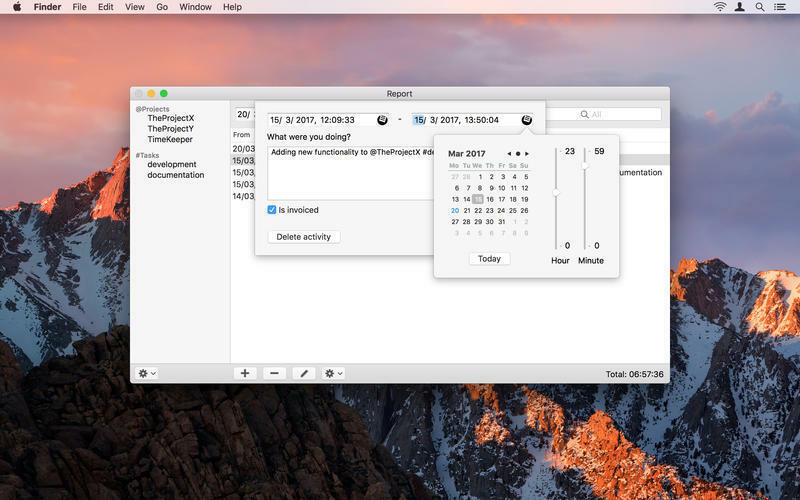 Will TimeKeeper work good on macOS 10.13.4? TimeKeeper is a simple time-tracking application. 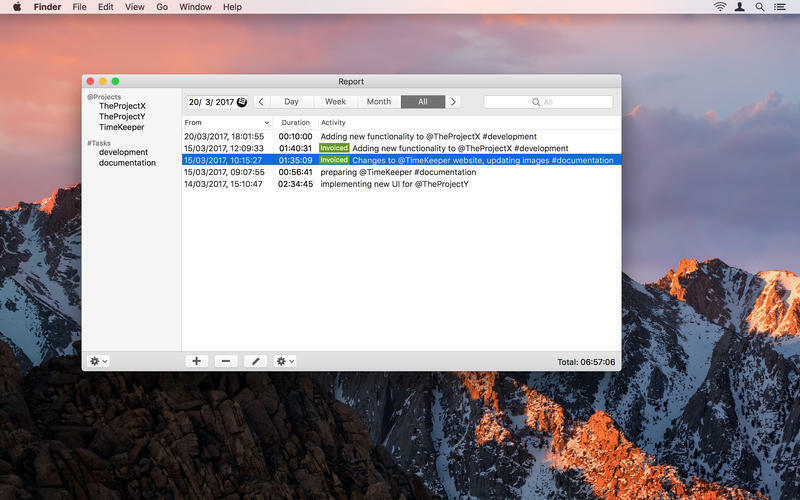 Keep track of your day-to-day activities when working on your Mac. Merge multiple activities in report window If you find yourself often switching between activities and want to clean up your log, go to Report window and select activities you wan to merge together. Then right click and choose "Merge" from the menu. 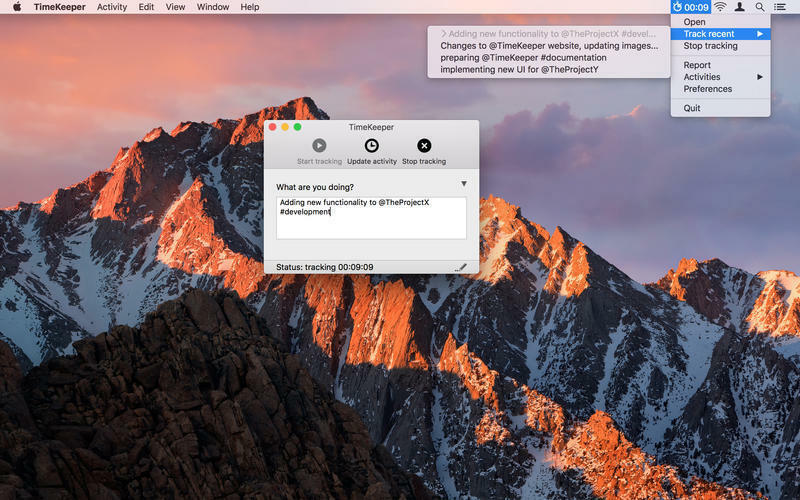 TimeKeeper will create a single activity with the total duration of selected activities. TimeKeeper needs a review. Be the first to review this app and get the discussion started! TimeKeeper needs a rating. Be the first to rate this app and get the discussion started!